Something that makes me smile is opening a package from a friend (Sarah), that includes a book I can't wait to read! That is so exciting. 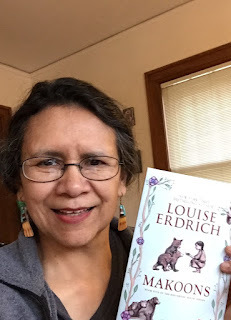 I am writing my PhD thesis on the Birchbark House series and can't wait until this book is available in the UK.